Fall can come swiftly here in Vermont and it can be hard to get everything done before the snow sticks, but there are a few things you should (and shouldn’t do) before the winter to help ready your garden for a successful season once the ground thaws in spring. We’ll go over our top musts for putting your garden to rest for the season and a few things you can put off until spring. Leaves not only break down and add nutrients to your lawn and gardens, but also provide important bedding and nesting materials for a variety of wildlife — including beneficial bugs that help keep your yard healthy. But this won’t work if you simply leave full leaves covering your entire lawn. 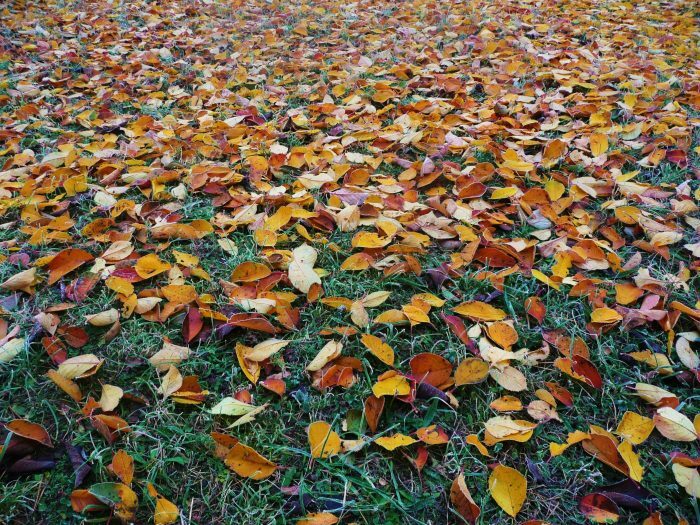 Use a mulching mower (or even a regular mower) to cut your leaves into tiny pieces so they can break down completely before the spring. Broken-down leaves can also be a fantastic mulch for garden beds, especially if you have new perennials or just-hardy varieties like Lavender that may need a little more protection from our harsh winters. 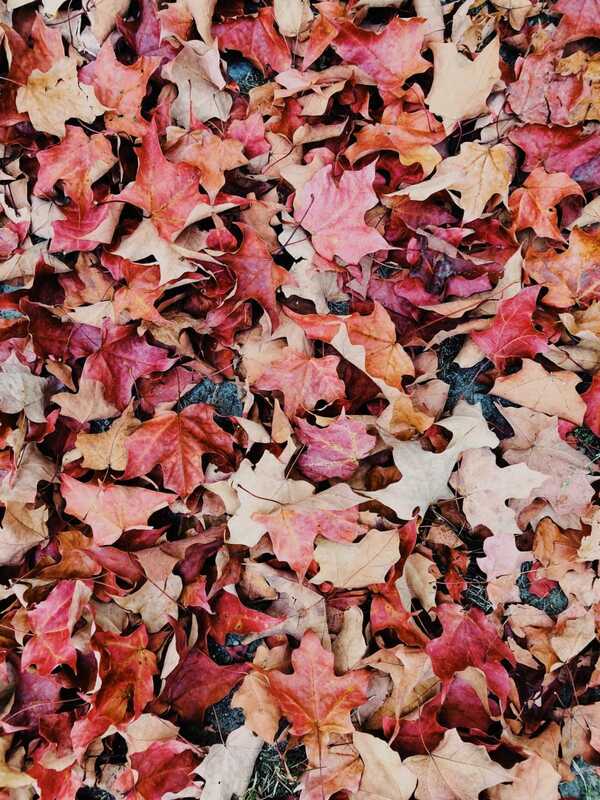 If you do decide to clear your property of leaves, instead of hauling them off to the landfill, consider instead adding them to your home compost. You can also keep a pile of leaves right next to your compost to help cover layers of kitchen waste throughout the colder months. 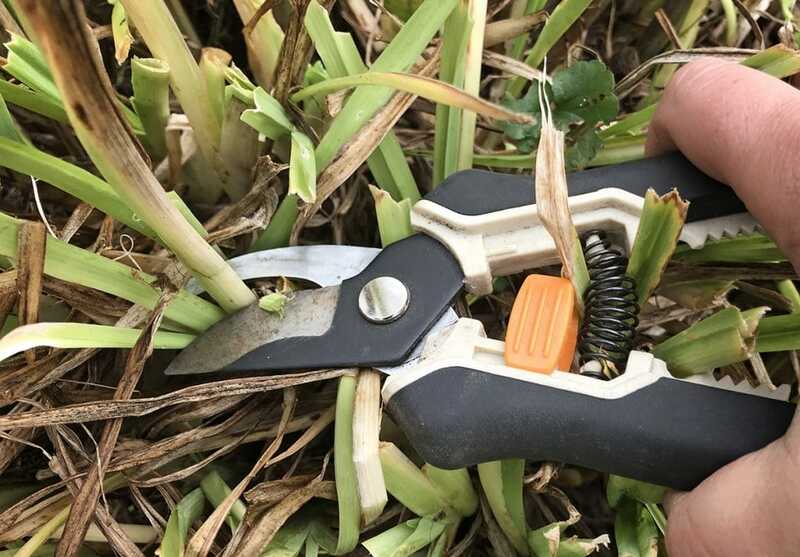 We’ve talked about this in previous blogs, but there are some plants that should be cut down in fall and some that should be left standing until spring. Butterfly Weed (Asclepias), Ferns, and Heuchera (Coral Bells) should be left until spring. Learn more about perennial maintenance in our blog. Before it gets too cold outside, any houseplants that you have brought outdoors for the summer should be gradually brought indoors so they acclimate slowly to the change in environment. If you have a screen porch or sheltered area, move the plants there for several days until you’re ready to bring them indoors for the winter. Give them a dose of organic fertilizer and make sure to pay extra attention to watering in their first month or so back indoors. 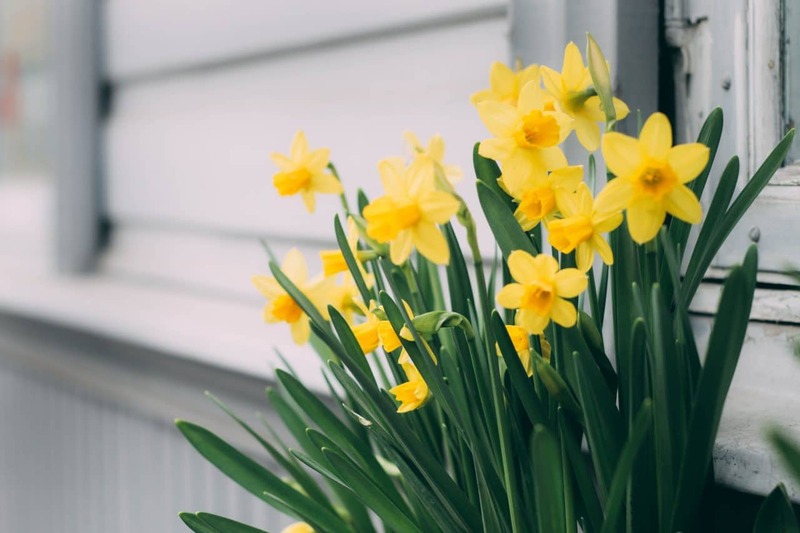 As long as you can still work the ground, easy-to-grow bulbs like Daffodils and perennial Tulips are a great addition to existing garden beds, along walkways, and lining fences. They are as easy as “dig, drop, done” and a little bit of effort goes a long way for that gorgeous spring color. As always, we’re happy to help with any fall maintenance that you don’t have the time to get to yourself. Simply contact us for a quote.